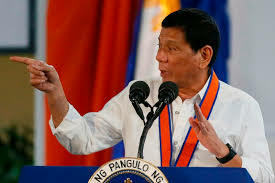 Landing on the 69th spot in the this years Forbes List for Most Powerful People, President Rodrigo R. Duterte also had his closest allies atop of the 2018 ranking. Chinese President Xi Jinping top the ranking and followed by Russian President Vladimir Putin and US President Donald Trump. Forbes cited Duterte’s war on drugs that “has already resulted in the killing of thousands of people across the archipelago country, Duterte's raw and vulgar vocabulary keeps him in the headlines: he called Obama 'son of a whore' and has used homophobic slurs to describe opponents." Chinese President Xi replaced Russian President Putin who topped the ranking for four consecutive years.